From the snow covered mountains in Colorado to the palm trees along the beaches of California there are so many places to explore while on your travel assignment. We chose five travel destinations for the adventurous travel nurse! Although the cold temperatures that come to mind when you hear Colorado might not be for everyone, there are actually all four seasons in this state! You will enjoy the slopes in the winter and the high 80s in the summer. This is a go to location for travel nurses that enjoy to hike. 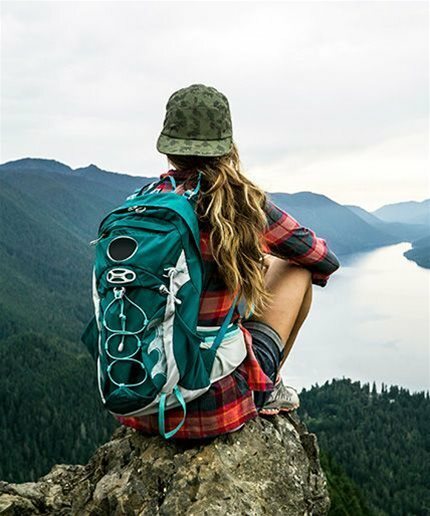 No matter where your facility is located you will be able to find some amazing hiking or walking trails with a killer scenic view. Not only is this the outdoorsman dream but there are campsites at nearby state and national parks! Does it get any better than that? For those who can’t stand shoveling snow and scraping your car windows, Arizona is for you! The heat is dry with little to no humidity and perfect for staycations in your own city. Filled with resort style hotels, mountains, and outdoor activities. When you feel like escaping the heat for a bit make a trip up North to Flagstaff and experience the snow! Due to its demographic location you are able to take weekend drives to Cali, Las Vegas or even Mexico. No wonder the snow birds migrate here! Being the Evergreen state, Washington has many forests and mountains to explore in every area. Spend your free time on the snow- capped mountains, visiting the original Starbucks, or making a trip to the forested islands in Puget Sound. They are known for their vibrant music scene and coffeehouses. Washington does get a lot of rain so summer is the best time to take an assignment here if you are looking to stay dry! Don’t forget to check out Glacier Peak before you leave, it is one of the most isolated major stratovolcanoes! Home of the country music scene, you can find all things country in Tennessee. The Country Music Hall of Fame and Museum, Grand Ole Opry, and the home of Elvis Presley’s Graceland will keep you busy on all of your days off. The Appalachian Trail also goes through Tennessee where you will see hikers who are making the 14 state wide mission. If you are feeling adrenaline rushing there are also hang gliding opportunities! With the consistent weather you can enjoy the same activities year round! With over 39.5 million residents, California is the most populous state in the United States. Beaches stretched along the Pacific coast for nearly 900 miles makes this a perfect spot to lay out and grab some rays. You can also find Lake Tahoe in the Sierra Nevada Mountains or Death Valley National Park by the Nevada border. The views and food scene here will not disappoint.